When is Luke Cage coming out? Would you recognize Henry Cavill on the street? All these questions and more are featured on this week's Geek Bits! 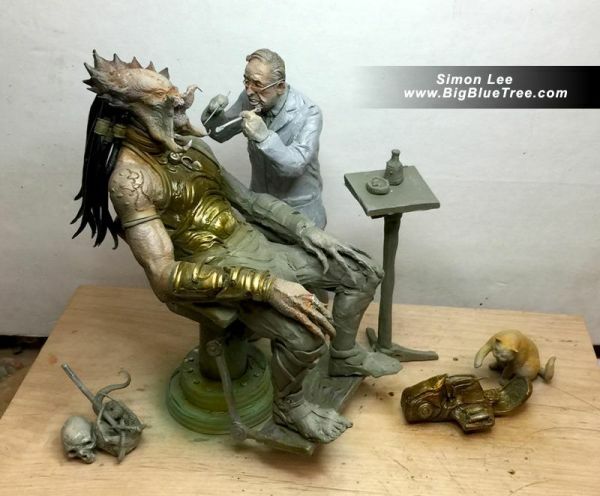 Even mandibles can get cavities...John Farrier at Neatorama brought us this funny sculpture by artist Simon Lee, along with the immortal line: "if it bleeds, we can fill it." After a sabotaged experiment leaves him with super strength and unbreakable skin. Luke Cage becomes a fugitive trying to rebuild his life in modern day Harlem, New York City. But he is soon pulled out of the shadows and must fight a battle for the heart of his city - forcing him to confront a past he had tried to bury. Marvel has released a new teaser for Luke Cage's solo TV series. If you subscribe to Netflix, click here to watch it. Otherwise, here's an embedded unofficial version. Wired.com celebrated the ten-year anniversary of the founding of Twitter with a collection of tweets. Superman actor Henry Cavill has tried to test out the theory that Superman's identity can be adequately masked by a pair of specs and slightly less ruffled hair, by posing in and around New York&#039;s Times Square without appearing to be recognised by anyone.Only... he wasn&#039;t even wearing glasses. And he was wearing a Superman t-shirt. It&#039;s almost as if poor Henry Cavill was very bored and wanted some attention, so hit the town expecting to be mobbed by ladies or men or whatever he prefers to pass the time with in hotel rooms -- but nothing happened. Season two of Daredevil is out, where Daredevil faces a new enemy, the Punisher. Or is he an ally? I'll have a review of it as soon as I get around to it. I'm still working my way through Jessica Jones. Apple: "If It Pleases the Court, Tell the DOJ to Go F--- Themselves"
I've been following the fight between Apple and the Department of Justice over unlocking an iPhone that belonged to one of the San Bernardino terrorists. I won't get into the politics of it, but I did think Boing Boing did a great job quoting tech pundits about how awesome Apple's legal briefs have been. Here's what I've been up to at About.com's Star Trek site. I really miss commenting on my posts, so feel free to comment here on what you think of them. In his new biography, Shatner dropped a bomb when he revealed Leonard Nimoy stopped speaking to him five years before he died. Is Star Trek V: The Final Frontier really that bad? 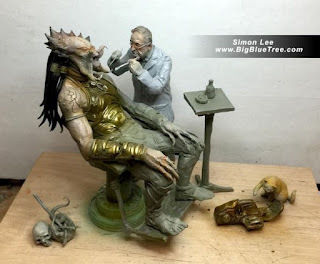 What do you think about this week's Geek Bits? 7 Best Parts of "Batman v Superman"
10 Worst Parts of "Batman v Superman"